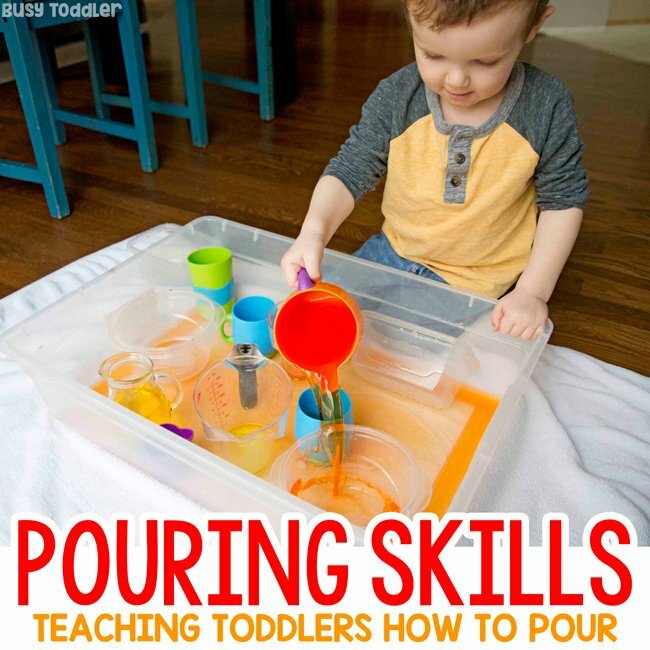 Your toddler needs activities that teach pouring skills. Trust me: THIS IS A GREAT IDEA. 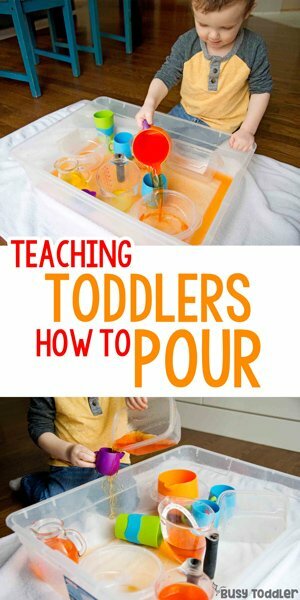 Toddlers need this (unless you plan to pour every drink for them until they graduate from college…). 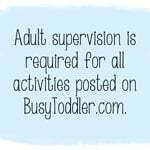 RELATED: Looking for ideas for young toddlers? 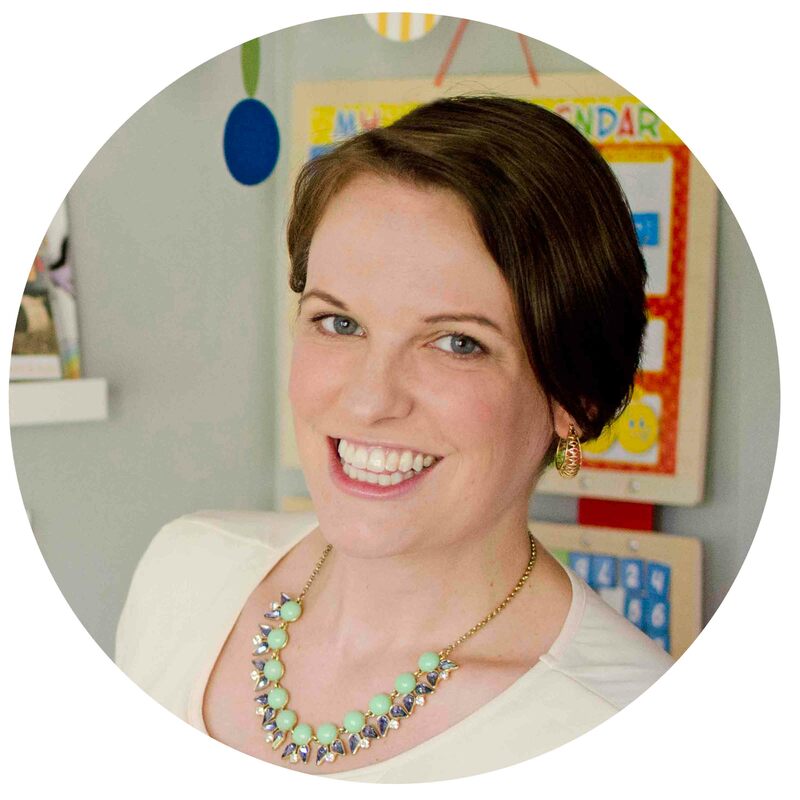 Check out my favorite list of 30+. Why is this activity so important? Excuse me for a hot second while I get on my soap box. Kids need to learn “life skills”. That means, we might need to step back for a hot second and let them learn how to do things on there own. RELATED: Want to take the pouring station outside? Here’s how I set it up. Of course, that might mean messes. It might mean spills. It might be a little frustrating for us to watch but if we don’t give them space to learn then we haven’t taught them anything at all. 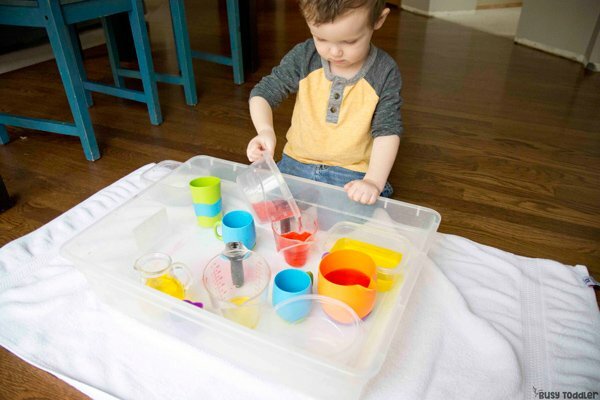 In this activity, you’re going to let a toddler pour all.the.water. 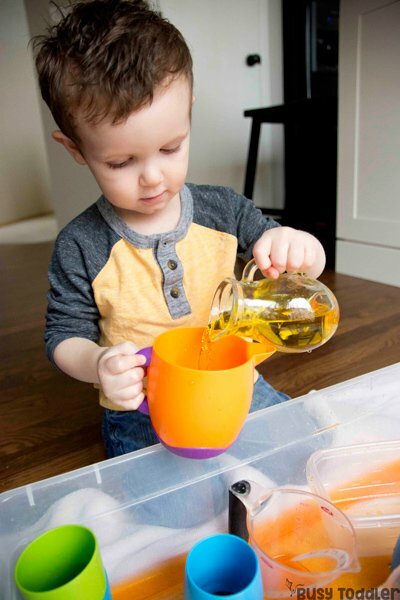 If we don’t let our toddlers have the opportunity to pour liquids, how are they ever going to learn to pour their own drinks? They need chances to try. They need a safe space take risks. 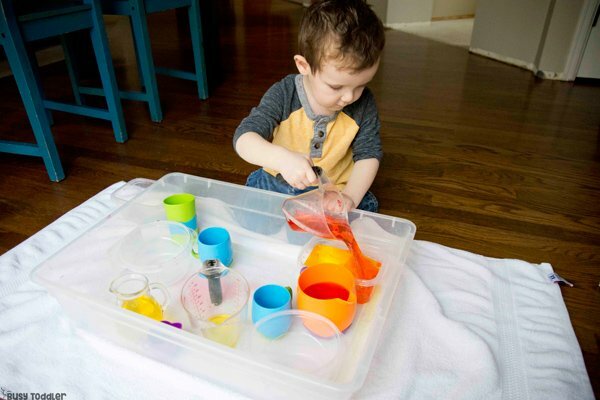 RELATED: Toddler activities don’t have to be crazy difficult to set-up. See my favorite list of easy activities. 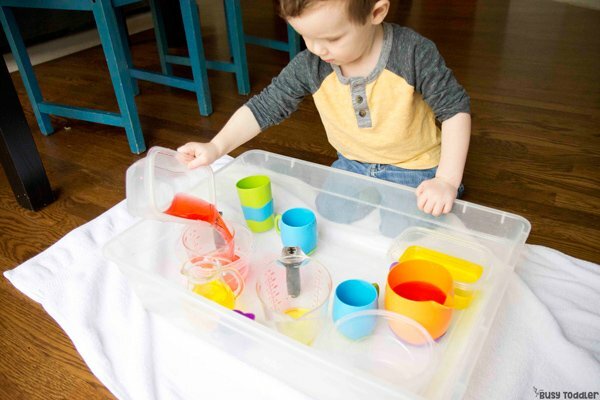 By giving my toddler the chance to pour, he will be more successful and accurate when he actually does need to pour something. And bonus: I won’t be pouring milk for him all the way into high school. 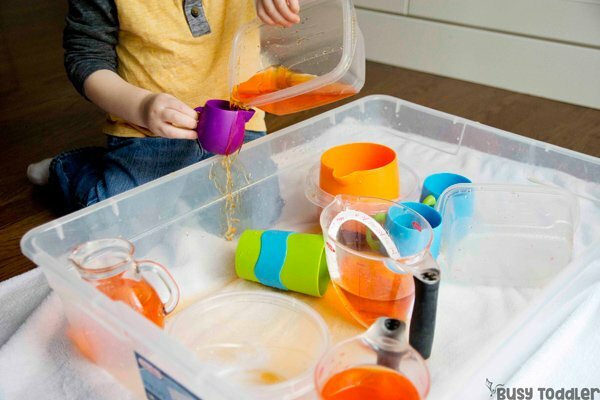 THIS ACTIVITY DOESN’T HAVE TO BE A MESS. 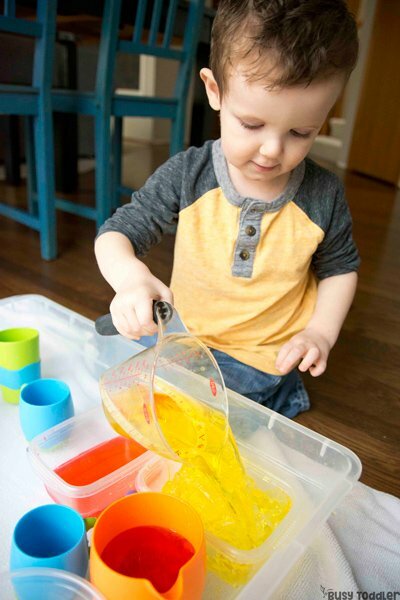 Your toddler can do this! Try it in the bathtub – don’t fill the tub. Just use the bathtub as your own personal toddler safety zone. The truth is: there will be some mess. Some water will miss. This is NOT the end of the world. This is a toddler learning. Wipe up the floors after (if you’re like me, this is only an improvement). I started out by filling some of the measuring cups with colored water. I left a bunch of cups and bowls empty for pouring into. Trust me: this activity is just plain awesome. 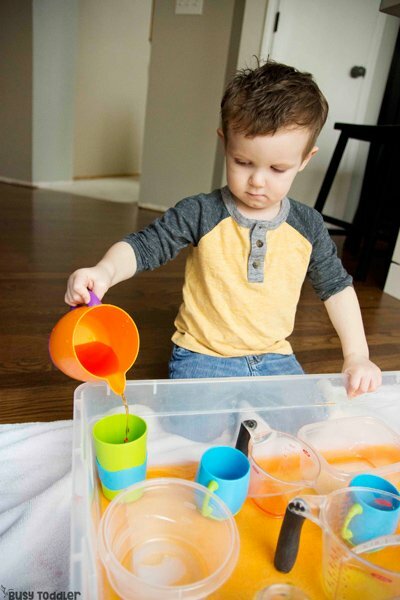 There’s just nothing better than a toddler working on pouring skills. And he’s LEARNING SO MUCH doing this. It is so much more than just pouring water. You know what: all that learning is worth a little water on the floor! 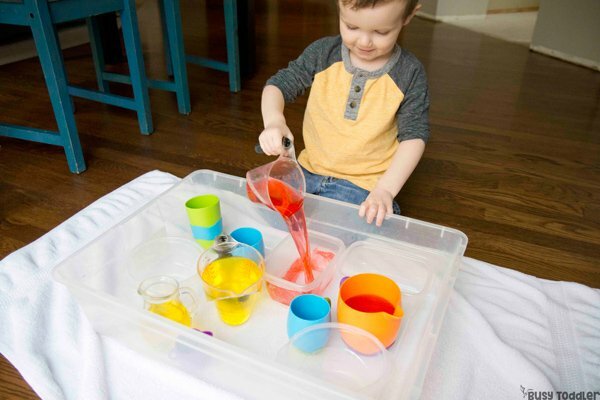 My 27 month old poured water for 45 minutes the first round and kept playing with this for days and days. I would frequently go over, tip the bin, and reset the water into a few of the larger cups. It was well worth the effort to keep him playing. 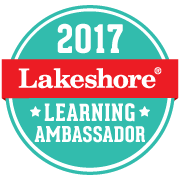 Our kids need us to give them space to learn important skills. 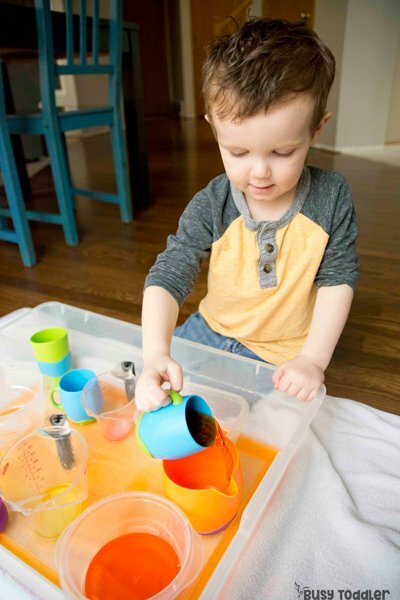 Not just the surface level skills like the ABCs and the 123s, but BIG skills – LIFE SKILLS – skills that they will use for the rest of their lives. I so hope you’ll consider this activity – it’s one amazing way to make it to nap time – and teaches so many important skills along the way. It’s a keeper. 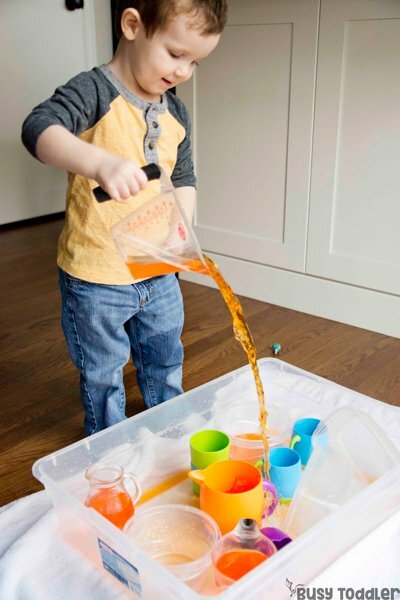 Has your toddler started working on their pouring skills?